Listen to this track by Kiwi art-rockers turned new wave hit-makers Split Enz. It’s their 1980 hit single “I Got You” as taken from their landmark album True Colours. By the time this song made waves internationally, the band had created a solid following in their native New Zealand from the early ’70s. By 1977, they’d taken on a new member in Neil Finn who was fresh out of high school, joining his older brother and founding member Tim. Neil Finn’s skills as a musician were impressive, but still in their developing stages, slightly divergent from the complex art rock style of the band he’d joined. So, with this less elaborate approach and a more back-to-basics pop tendency in the younger Finn, he would go on to pen one of their most memorable, and enduring singles – this one, later to be widely covered over the years by acts as diverse as Pearl Jam, Marilyn Manson, and Semisonic. Being from a musical family, and idolizing his older brother, it was maybe no surprise that Neil would build his own profile as a performer and songwriter, as opposed to becoming just a replacement member of a high-profile band. 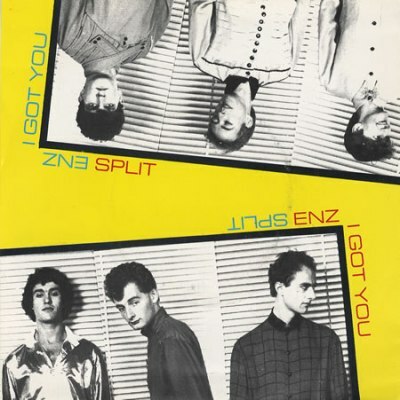 Split Enz would be a vital training ground for Neil, and he’d pay them back by writing this song, eventually becoming one of their most recognized tunes. It would achieve accolades on the charts and in other quarters besides. First of all, this song is exceptional not just because it was written by a mere 21-year old Neil Finn. But, also because it falls in with the new wave idiom so well, without sounding like a jarring departure from the sound of Split Enz, a band that had established itself very well as an art rock concern, more so than as pure pop stars. It’s no wonder that the younger Finn soon became recognized as a singular songwriter this early on, even stepping into the spotlight as a leader within the group, as young as he was. The song has a lot of highlights, including that high, thin synth line that stalks behind Finn’s lead vocal. And brother Tim’s voice on the chorus joining Neil’s lead is another great example of the magic that happens when those of the same gene pool sing together. It’s that alchemy that happens when two fraternal voices come together to give birth to a third voice. After Split Enz broke up as a full-time concern in 1984, and after Neil Finn founded another band in Crowded House, the two brothers would collaborate as the Finn brothers in the 1990s and 2000s. I saw them perform in 2004 at the Orpheum in Vancouver. They played this song. That high, thin synth line was in place, along with the melded Finn voices creating that unmatchable third voice. Another undeniable ingredient was the clear affection and respect the two musicians held for each other, reviewing a rich history of music making together. Learn more about Split Enz by taking a read of the Split Enz All Music biography. Neil Finn is an active musician today. After having submitted the closing song to the soundtrack of The Hobbit, “Song of the Lonely Mountain”, at the time of this writing he’s just about to complete his third solo album. It’s his first since 2000’s One Nil (aka One All). Take a look at this video of an interview with Neil Finn in which he talks about the new record, and his earliest days as a 19-year old joining Split Enz. Great choice. A lively tuneful album that deserved its #1 status in Australia and NZ. Opening with the high energy of ‘Shark Attack’ (Tim in angry mode, see also ‘I See Red’) the quality never drops. Ballad ‘I hope I never’ is plaintive without becoming maudlin while there is an emotional lift near the end with ‘How Can I Resist Her’ before the atmospheric electro-pop instrumental ‘The Choral Sea’ takes us out. One of my Top 10 Australasian Albums of all time! G’day, Bruce! (I resisted that as long as I could, man). Cheers for the overview of the rest of the record. It was a big hit in this country too. So inspired was I by your piece here, that I’ve bustled off and written a whole article on the album. Just posted it today. Cheers Mr Inspiration! Impossible not to be hooked forever on this song.